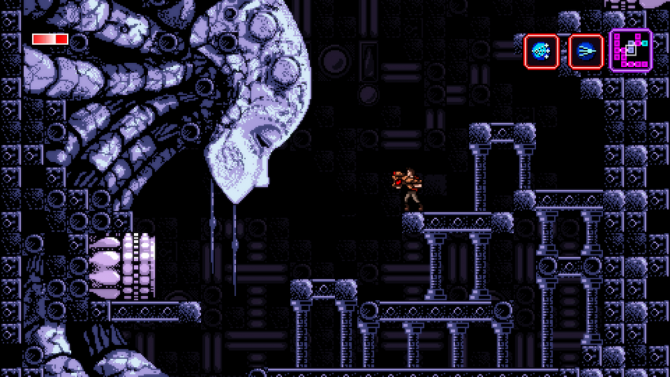 Metroid-vania-style turned indie hit Axiom Verge has been out for a while now, but its jam-packed collector’s edition has not. Now, the game’s Multiverse Edition is available physically in the UK. 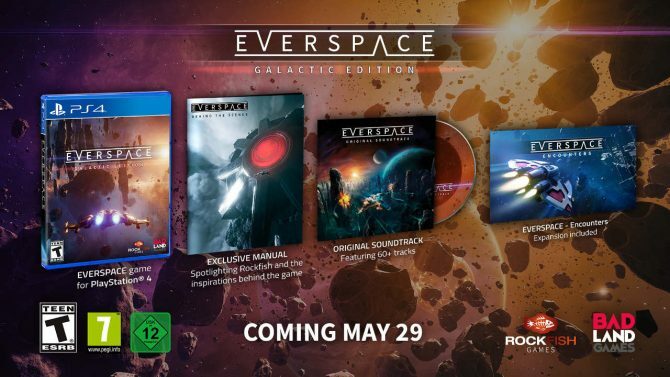 The Multiverse Edition includes the physical game in its case, a 32-page art book with pixel-art goodness and character sketches, a double-sided poster with a complete map of the game’s areas, and an exclusive five-hour Blu-ray documentary on the making of the game produced by 2 Player Productions. If you get the Switch version, you’ll also get the game’s soundtrack. If you don’t want all of the extras, the game is also available by itself on PS4 and Nintendo Switch. 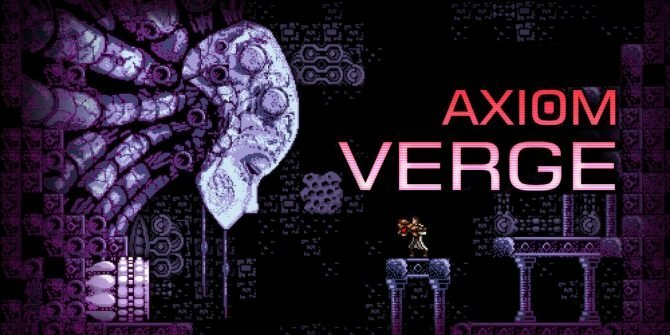 In case you haven’t heard about Axiom Verge, the game was developed entirely by Thomas Happ over a five-year period. It came to critical acclaim after fans found themselves sent to another dimentsion–in the game–and back in time in terms of the game’s retro feel. The game is non-linear and allows you to travel to different areas and fight different bosses and unlock new weapons. 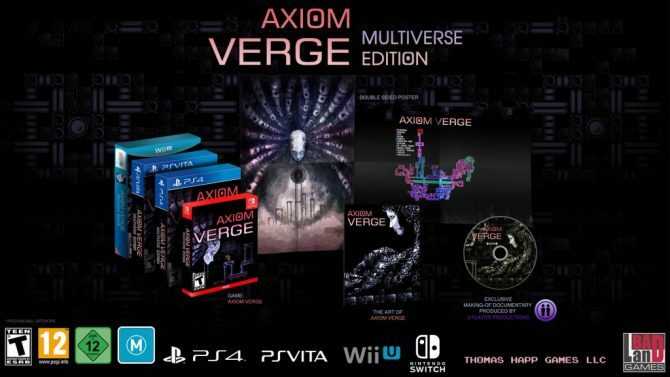 Axiom Verge is available on the PS4, PS Vita, and the Nintendo Switch. It will be arriving on Wii U later this year. You can read more about the game, including how the game’s publisher is contributing 75 percent of profits to the game’s developer to help with his son’s healthcare here. You can also read more about the game’s release on the Switch here.